Work for Green Cloud Technologies? "Cost effect IaaS on a tried and true platform"
I love the fact that the IaaS service is based on vCloud. We have been a VMware shop since the begining of our virtualization, and the familiarity of the platform was very welcoming. Like any cloud hosted solution, you are at the mercy of various things when accessing your virtual datacenter. Hosting side ISP troubles, local ISP troubles, regional outages, DDoS, DNS issue, etc. Based on my discussion with Green Cloud, their newer datacenter have some additional resilency baked in from the ground up as they were building out the locations, but not everything has trickled down to the older datacenters. If you can, try to put your services in one of their newest datacenters to help alleviate some of the access issues with hosted resources. As I said earlier in the review - try to get your resources in the newest datacenter you can. No need to incur capital costs to build our your private cloud solution - Green Cloud has it all built out, and charges you monthly for what you use. We were able to bring our private cloud offering to market 10x faster since we didn't have to build out the datacenter ourselves. "Wonderful experience and great customer and partner services"
The customer care and partner experience are great! Very responsive and a pleasure to speak with. Marketing material and webinars related to their services partnership is very detailed and clear. The white label offering is great and provides another avenue for small to medium size business to re-brand services and material. We have not disliked anything since becoming a partner. The entire process was seamless and easy going. Both the account representatives and the solution engineers had all of the information that we needed and if they did not know the answers right away they provided them in a timely fashion. 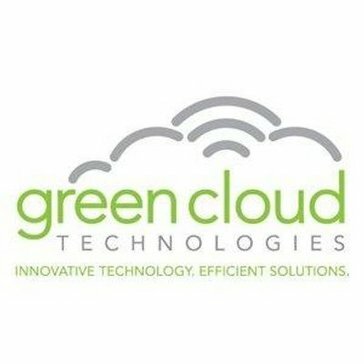 We are partners of Green Cloud and are utilizing their cloud hosting technologies for our partners who require specific services . "Use our Infrastructure and pay for what you need, when you need it "
IaaS has helped my clients enjoy the use of the Cloud to keep Infrastructure money in their pocket and not have the large up front expense hit all at once but they are able to pay as they need or use more. I don't have any issues with IaaS but some of my clients feel that Tech support should be a little more knowledgeable in IT. If it's time for a large capital outlay, this may be a direction you want to look into. Clients are able to hold off on larger Capital expenses to reallocate those funds to other needed projects. Decommissioned equipment can be sold for a modest gain and the clients still don't have a large outlay. "Great cloud provider for MSPs"
Green Cloud understands the MSP business and how to work with partners. As an MSP we don't want to be treated like an IT staff from large corporation. We have to have multi-tenant systems and don't need tier 1 support, we do that ourselves. Green Cloud gets that. Their migration services can help to make much of i turn key. So far so good. We have moved a number of clients to Green Cloud and no problems. We needed a multi tenant cloud platform to allow us to migrate multiple clients. Green Cloud migration services make it really easy and the ongoing support it top notch. "An MSP's Opinion of Green Cloud"
Green Cloud has been an invaluable asset and tool to my company. As a MSP I have about 50% of my clients using either their hosted servers or disaster recovery services. They have ALWAYS been accommodating to me and/or my clients whether during or after traditional business hours. Not once have I experienced a time when I could not get quick resolution to an issue. They are truly willing to bend over backwards for me and my clients and we all appreciate that. To date I have yet to be dissatisfied with Green Cloud. Whether as a end user or an MSP, I would highly recommend considering Green Cloud. Their friendly support staff, engineers and sales support make working with Green Cloud a pleasure. My clients either have their servers backed up with their disaster recovery service or they host servers at their datacenter. Clients host RDS applications, LOB applications and revenue generating services with Green Cloud. GreenCloud maintains a high level of functional up time, which is critical for this service. Additionally, their technical support staff is very helpful and responsive. If you sign up for additional maintenance alerts, their NOC team is very communicative of any scheduled maintenance or potential issues (such as upstream ISP issues) so you never have any surprises. My least favorite thing is that more of our clients aren't yet migrated to GC's infrastructure! If you're looking for something a little more customized or specific than a generic offering from Azure or AWS, Wholesale IaaS might be the answer you're looking for. We have many clients with scattered offices throughout the country or world, and it makes sense for them to move to a cloud environment. We also have clients who aren't interested or are unable to front the large sum of initial cost plus continued maintenance of physical infrastructure on their own premises. Additionally it allows us great flexibility for remote workers, and for customers needing the utmost priority in up time without interruption. "Using Green Cloud for VMware DR solution." Green Cloud has an infrastructure platform that is straight forward to get connected and begin replication of VM's. The management console is easy to understand and use. The solution seems designed for small companies that have a straight forward infrastructure. We have multiple VLAN's and IP requirements that bogged down the process. They provide the infrastructure and we need to do all the work on top of that.this is more difficult in our complex environment. We have a couple of customers who require a DR solution that is near real time. Green Cloud allows us to provide DR without replicating our entire environment. This is a huge cost savings. "How you would do your Datacenter, without the costs!" These folks do Datacenter like most SMB and enterprise companies would like to do theirs - Cisco, VMware, Microsoft, flash storage, 10G networking, etc. They build a Datacenter not with no-name, white box hardware, but with real enterprise grade goodies, just the way we all would like to do it given the right budget. Low monthly costs, low one time charges, amazing flexibility! We would absolute love a Datacenter closer to the Chicagoland area. We need a rock solid platform to resell for those clients who needed out of the on-prem world but wanted more peace of mind than the public cloud offered. Absolute Flexibility and their ability to meet and exceed your needs. The level of simplicity and speed of deployment allows for an easier implementation and enhanced customer experience. Backup aas and Infrastructure aas have allowed us to update antiquated infrastructures where on prem hardware would have cost 3 times the 3 year cost of IaaS. "Great company to do business with!" Friendly and fun staff. Everyone I have talked with so far has been very polite and seems to have a good sense of humor. I believe those things are important. There was a little bit of confusion as to who would be configuring the ASA when we were migrating servers and this caused some unwanted downtime. We needed to have a hosted solution to offer our clients. Green Cloud has solved that problem for us. Also, we needed somewhere to host our equipment and they have solved that for us as well. Fast response times on support and even faster time to resolution on tickets. This is exceptionally important when you are reselling GC as a re-branded product. Initially, their regional presence was somewhat small and we mostly use their service for DRaaS. Since expanding into other regions, they are much more attractive for DR solutions as our customers generally expect some geographical diversity in their strategies. Give your customers exact requirements to the GC dev team and you cannot go wrong in meeting your needs. Substantial savings on re-branded cloud. "Oversold services that you don't do"
You completely oversold your replication capabilities. We were sold a solution where you'd enable the solution, monitor the solution, and in an emergency, cut over the solution. In the end you don't do any of those things, you really only provide IaaS and licensing of Zerto. Provide a better exact understanding to prospects of what Green Cloud really does. Do not over sell what your people will not do. We have a few specific clients that want high availability and failover. We offer a fully managed cloud solution with hosted desktops and Zerto seems like the right solution. You were really hard to work with and in the end, just don't have the solution that we were sold. "Green Cloud - Excellent customer support"
Green Cloud's technical support team is very responsive. Also, if the engineer who answers the phone can't resolve the issue quickly, it will be escalated and resolved quickly at the next level. The sales team is also very responsive and will often get back to me with information during non business hours. There isn't really anything that I dislike about Green Cloud. I highly recommend Green Cloud and believe they provide an excellent mix of value and high quality products. Lower cost of ownership of corporate IT resources. "Green Cloud delivers top notch services and support!" Support from Green Cloud is outstanding. I have sold Green Cloud solutions for years and could not recommend a better partner for cloud offerings. The flexibility from the team has been a blessing time after time. Metered billing would be a nice addition. We have no additional complaints. Call Disruptive Technology, Inc. to support your move to the cloud. We have vast experience with Green Cloud and are always excited to deliver this fantastic offering to our customers. We use GC to provide sound solutions for our customers. It was rare, but we would hit issues that would require us to call the support department. Greencloud was always quick to respond and wouldn't stop until the issue was resolved. Definitely, someone to keep in mind when making a decision. In my opinion, the firewall controls are subpar at best. Very little logging that you can see on your end. A client needed a server offsite in the "cloud". The highly available server meant that my team didn't have to worry about any issues after hours. From the technical expertise, to the cost, to the quality of service, Greencloud has been clutch. They have an amazing knowledgeable staff that can pretty much get anything done. They also have a wide birth of products and services. Not much, i think they continue to innovate, and as long as they do so, i believe they can go far. Perhaps more datacenters in certain locales is needed. IAAS customized to fit your needs, not inflexible like some of the other cloud vendors out there. "Great Regional Product for Flexible Deployments"
I can pick up the phone and call someone whenever I need something and don't have to wait too long for a response. The billing needs to be a lot more intuitive as it can get complicated, especially as you add services. A nice VMWare UI would be nice too. Great product with regional support. Flexible Solution that is reasonably sustainable. This has allowed us to flexibly scale as we need to and the costs are controlled. We only pay for what we need. "Recommended IaaS Partner of Choice for our MSP"
Sales and support team very knowledgeable and prompt response. Greencloud's alerting is proactive and infrastructure performance is very good. Cloud Services that are very responsive and over 99% up-time. Moving to the cloud is very hard decision for many SMB's. If the infrastructure is unreliable and preforms poorly businesses would move back and never consider cloud again. Moving businesses to the cloud makes management and DR much easier for MSP's. I like that the product works well and that their support is responsive. I previously was not enthused about all of my clients' data being across the country, but they've now expanded to other regions, yielding a better overall product. It's worth the cost to have the automation and DR option. Automated offsite backup and recovery options were lacking in our product lineup, and Greencloud's offerings have perfectly aligned with our clients' needs. However, if you do lose internet service, your files are unreachable. This is a great product for what it does. Cloud storage is always an asset to have. "Green Cloud Ahead of the rest"
Nothing. They really met all my needs and addressed everything at hand. They made the transition very easy and guided me the entire way. Let the greencloud team assist you from start to finish. They really know their stuff, and are there to support you. It saves us money on backup storage. Substantial savings. Their Customer Service, every time we needed support an engineer was always there to help. No Newbies!! I can't think of something that i dislike from Green Cloud. They are great!! Home Office, we are an IT support company and the fact of having access to our support tools from anywhere with internet access made our work easier and efficient. "Flexible but may need more Reliability"
need to buy new hardware is gone. we will realize the benefits over time when we are always up to date with no large capital expense. Green Could is a simple and fast solution. Happy with the system overall. Not necessarily a Green Cloud issue just general internet congestion. There are several cloud offerings currently out there with complicated pricing structures. Green Cloud's simple offering structure makes it easier. Green Cloud helps solve the issues of Disaster Recovery and does simplify offsite backups. "I have utilized Green Cloud services both in my own business and with my clients. " Their team was very easy to work with, very professional, always returns calls in a timely manor. Did not have any issues or challenges. I found Green Cloud to be very helpful and attentive to my clients needs & questions. Makes my position easier, less challenges, they do more of the work so we have fewer problems. Green Cloud works hard at being responsive to request and needs. They are extremely quick to provision any adjustments we need or to game plan with our team to provide the best user experience possible. We have had to work with them on billing. It can be confusing at times. Give Green Cloud a shot. You'll work with a company that cares about your clients and the offerings that they can hellp you provide. We are providing clients with a reliable IaaS offering that is price competitive and has many options for customization. I like the migration process the best. Servers are easily migrated to the cloud most of the time and are ready to go in a flip of the switch. Having to call all of the time when I need hardware added to the customer's virtual datacenter. Eliminating aging hardware with ~100% uptime. "Green Cloud sales and engineering support is top notch." The Green Cloud team is easy to access via phone and email. Most items are tracked via a ticketing system for ease of tracking and reporting. Like most cloud providers I deal with, billing is one of the most challenging pieces of this business. GC does a good job working with clients on this. Improving uptime for our clients is paramount. The Green Cloud environment helps with infrastructure and disaster recovery as a service solutions. "Executive VP Technology - over 30 years experience in IT Solutions, Products and vendors"
I liked the sales folks who constantly checked up on me. The GreenCloud folks seemed to have the virtualization market figured out and would like them to just get it down to a SMB market and priced accordingly then they will have success with our organization. The solutions are built more towards Mid to Large enterprises. The cost needs to be lower for my SMB clients. "Great Service - Not a ton of issues"
The ease of deployment is fast, logical, and simple. Management interfaces are a bit clunky and could use some refinement. Not having to rely on hardware is a dream. Ease of conversion and use and mirrored redundancy. These guys make getting started simple. Give them a call. Great supportive team is helpful in navigating their offerings. Nothing to dislike so far. All experiences have been satisfactory. Getting away from unnecessary refresh expenses. "Green Cloud is a great partner"
Do not enough business yet, still trying to do better marketing in my territory. we are solving the need to securely store important information and have it readily (and easily) available. 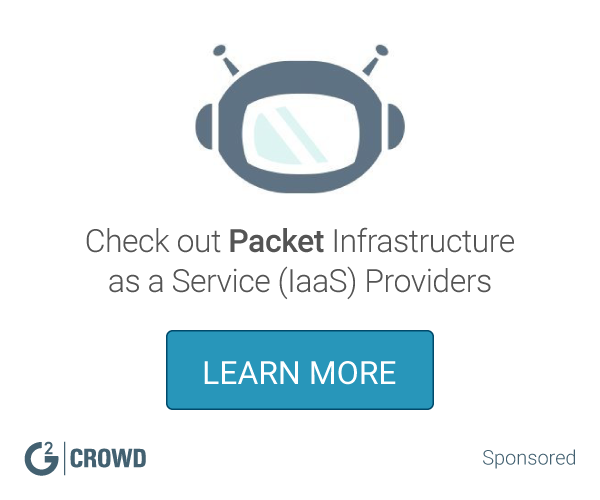 "IaaS removes the cost barrier to get things started, or to setup new infrastructure. " Not needing to manage our own hardware. Also, the ability to upgrade on the fly, with minimal downtime. Not being able to physically see/touch the hardware (like in the past). No longer needing to manage/maintain hardware as well as lower out of pocket costs upfront. Ease of quoting and signing up and the ability to stack discounts with Cisco deals. I've used it to stack discounts with larger Cisco Deals. To be honest, that is all. "Great onboarding process and the support is superior." GreenCloud's support is superior to other cloud providers in the marketplace today. Their pricing is minimally more than other cloud providers, but their top tier support justifies every extra penny spent on their service. Hardware cots and management costs. "Green Cloud provides cloud accessibility to companies of all shapes and sizes"
Green Cloud offers flexible and affordable hosting options to my customers. Green Cloud is a perfect compliment to the companies they service. Learning about Green Cloud Technologies? * We monitor all Green Cloud Technologies reviews to prevent fraudulent reviews and keep review quality high. We do not post reviews by company employees or direct competitors. Validated reviews require the user to submit a screenshot of the product containing their user ID, in order to verify a user is an actual user of the product. Hi there! Are you looking to implement a solution like Green Cloud?